2010 is rapidly drawing to a close and I wanted to put up a short post thanking everybody for reading - and especially those of you that commented! - this year. It's been a big year, and I've still got several places I want to write about gestating in the drafts folder: hopefully I'll manage to write about them in early January. Later in January I'll be visiting New Zealand for the first time (Christchurch and Marlborough, so if you have any food and wine tips for me I'd LOVE to hear them). The week before Christmas saw Melbourne's macaron maestro Duncan go berserk with a bumper range of flavours, including the yuletide-inspired duo of cherry and Christmas spice, and some others laced with pop rocks for an (explosive!) taste sensation that reminded me of a Pierre Roelofs dessert I had in August. My favourites from the selection we bought were the cherry, the effervescent passionfruit and the violet & aniseed. The weekend before Christmas I was up in Sydney for a family celebration and on the Sunday afternoon I introduced family and friends to Porteño, the Argentinian restaurant I raved about a few months ago. I was devastated to hear upon arrival at the restaurant that it was their last ever lunch service (from now on they'll be open only at night, seven days a week), but I'm just glad I got to sit in that sun-drenched atrium one more time! Food-wise, my expectations for my second visit were SKY HIGH and Porteño DELIVERED IN SPADES. 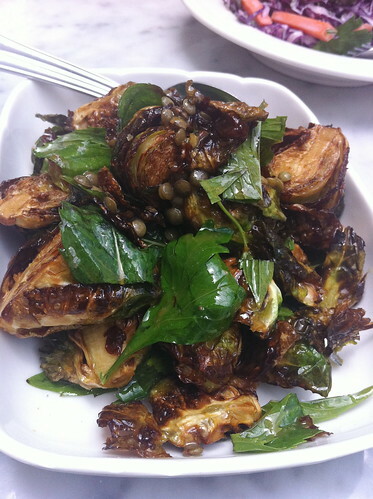 All of our dishes were excellent, but the crowning glory was the crisp brussels sprouts with green lentils and mint, deep fried and served with vincotto and mustard. Gourmet Traveller editor Pat Nourse named the dish one of his top 10 for 2010 and I can see why: they're insanely delicious and unlike any other brussels sprouts I've had before. The recipe can be found here! And for a bit of end-of-the-year fun, here's a video slideshow of (just about!) 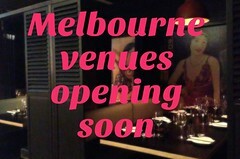 all the Melbourne Gastronome-related photos I took in 2010. Regular readers will recognise lots of familiar dishes - and a few familiar faces! The video was made using Pummelvision (thanks to Hannahbabble for the link). 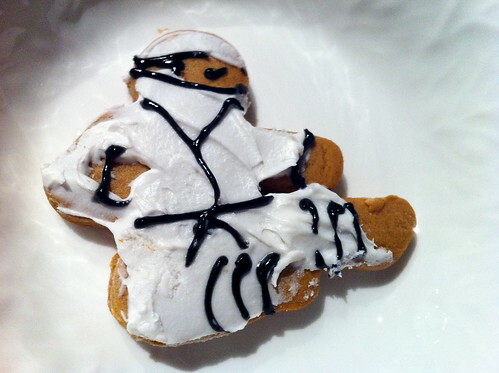 So it's goodbye from me and the ninjabread men for 2010, and I look forward to seeing you all over the intertubes in 2011! Congrats on another year of blogging - looks like you had a great 2010 and heres hoping 2011 will be even better. Enjoy NZ - it was years since I have been there so all my tips are a bit redundant but I think Grab Your Fork has been fairly recently? Have a Safe one Claire and see you on the other side of 2010, which is to say 2011!!! the pummelvision video makes me dizzy, lol. happy new year to you! 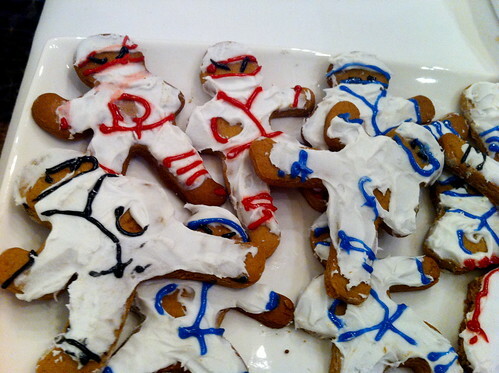 Gotta love the ninja bread men! 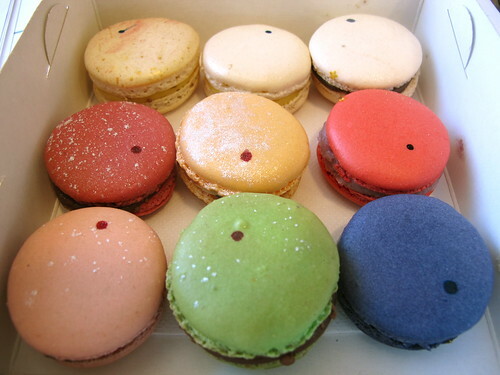 !I want some macarons now.. MmMmm... Have an awesome near year and lets sing again!!! 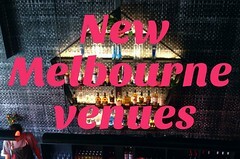 For your trip to Chch definitely follow Duncans advice - they are also all my favourite spots in Chch too. And if you get the chance pop into either the Bicycle Thief or the Twisted Hop - they are both great spot in the city for a drink. And for a sweet indulgence the Cupcake Parlour on salisbury street has the lightest fluffiest cupcakes i have ever tried - and continuing the macaron theme try www.jaimelesmacarons.co.nz (location of their store on the website). Enjoy. Happy New Year! Thanks for another year of brilliant reading. Looking forward to more good eating and reading in 2011! i love your video slideshow of all your photos. such a great idea!